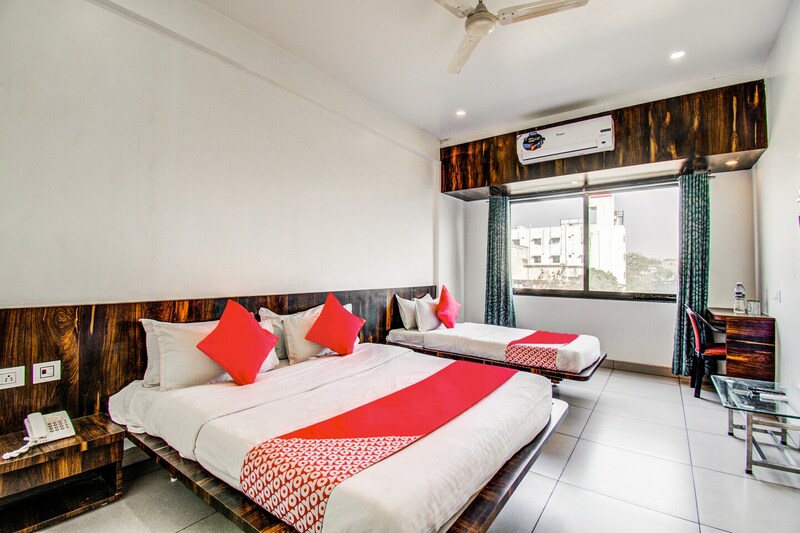 Located at Jalna road, Hotel Venkateshwara offers a comfortable stay close to the city of Aurangabad. The hotel is close to the famous temples including the AshtaVinayak Temple, Omkareshwar Mahadev Hanuman Mandir. The hotel offers free Wi-Fi services to all its guests. All the rooms in the hotel are air-conditioned and well-furnished. The bathrooms feature a geyser and are well-maintained. The hotel also has its own parking space available for the guests. Round the clock power back is an additional asset of the hotel. The guests can visit places like MGM APJ Astrospace Science Center & Club, Rajiv Gandhi Stadium, all within the pleasant driving radius from the hotel.